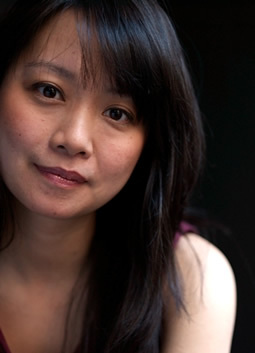 She has appeared as soloist on piano and fortepiano at The Friends of Mozart Series, The Boston Early Music Festival, The Serenata of Santa Fe Series, The Kosmos Albuquerque, The Dayton Early Music Series at Connecticut College, The Frederick Collection, The Finchcocks Collection, The Cobbe Collection, The Metropolitan Museum of Art, the Utrecht Early Music Festival Fringe. Ms. Yang won first prize at the “Amsterdam Virtuosi” Festival 2011, as well as at The Juilliard School’s Mozart Piano Concerto Competition and the Haddonfield Symphony Concerto Competition. She has been a soloist with The New Juilliard Ensemble, the York Symphony Orchestra of Toronto, and The Juilliard Orchestra. Ms. Yang holds a doctorate in piano from the Juilliard School, and studied there with Robert McDonald, Julian Martin, and Veda Kaplinsky. She studied fortepiano with Audrey Axinn, and with Stanley Hoogland at the Amsterdam Conservatory. She has received grants from The Mustard Seed Foundation’s Harvey Fellowship, and The Dutch Ministry of Culture’s Huygens Award.